IPAF’s variety of TÜV certified and ISO conforming training courses are some of the most popular in the world. Trained IPAF members operate the majority of rental mobile platforms on the market, solidifying IPAF as the global standard in Mobile Elevating Work Platform (MEWP) training. With over 45 years’ experience delivering these first-class courses, North East Access Training is perfectly placed to provide your operatives with the education and qualifications they need to work safely and efficiently. Our recently refurbished premises in Birtley, County Durham, has left us not only in touching distance of multiple major locations but has enabled easy access via all major road networks, making it easy for you and your team to get to us. With a total of 21,000sq ft in space, both indoors and outdoors, no matter the weather and no matter your needs, we can help. It’s our philosophy to work around you – the customer. We instruct in all IPAF training categories when you want, not when we want, and there is no minimum number of participants. All you need to do is contact us, ask any further questions you may have and let us know your requirements. 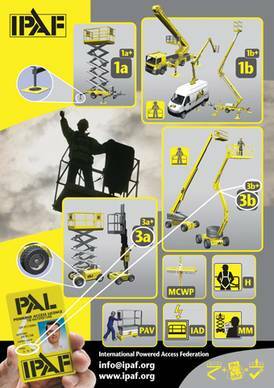 After our IPAF training courses, attendees are issued with the registered PAL (or IPAF) card, allowing your staff to be recognised as highly trained platform operators wherever they go. Our IPAF training courses are always split over the morning and the afternoon of a single day. You can find a brief schedule of what you will be doing on your training course below. The morning session focuses on theory and knowledge, covering the capabilities of work platforms, emergency procedures, potential hazards and the responsibilities of the operator. After the morning session has been concluded, we organise a short questionnaire to solidify and test the knowledge of the participants. The afternoon session is focused on more in situ skills. Starting with a pre-use inspection, we move onto safety checks, operator practice and verbal questioning followed by an assessment covering each category we have looked at over the day. We conclude with a short talk on log book completion and then we summarise the course’s content before taking candidate photographs for their PAL card. 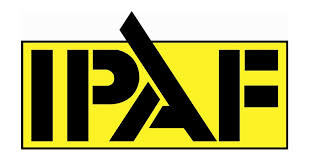 Successful candidates will have their photo taken so that they can be issued with a PAL (IPAF) card. This card will take approximately five days to be produced and despatched. As we offer a range of IPAF training categories and courses, the price of training varies depending on course type and attendee numbers. To get an accurate quotation, get in touch and walk us through your requirements. We strive to adapt to your needs.